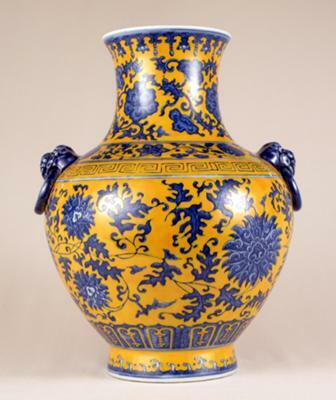 Hi, like with the other vase it is either a high level item or a recent product. Closeups might help, but with items like this it is usually only possible to provide a general opinion, online. This may require an offline appraisal. 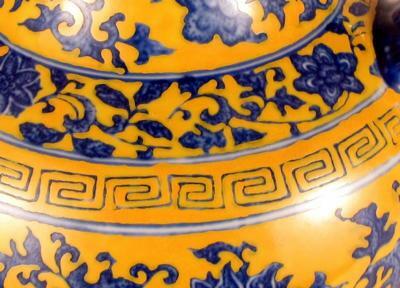 Anyway, bottom, mark and closeups showing condition of decoration, etc. clearly would be required. 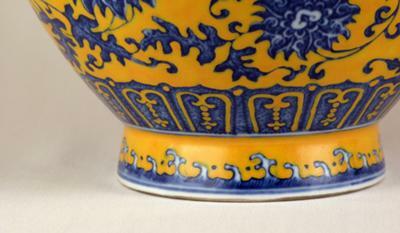 From these pictures it could be anything from a Qianlong vase to a new item. Closeup pictures should also show any blemishes, usage traces like scratching, age signs, etc.